She was filled with so much love from her family and friends. Her world always surrounded with them. But like almost everybody else in this human race, she didn't escape the revolution of her world. One person might change everything about our lives- this is the stage where in we are naturally mold into a worse or better person, weaker or stronger, miserable or simply happy- the stage of falling in love. Love doesn't guarantee pure happiness. Because when you learn to love someone; you should also willing to embrace pains, sacrifices and sufferings. This is a book of chronicle about young love, betrayal, hope and forgiveness. 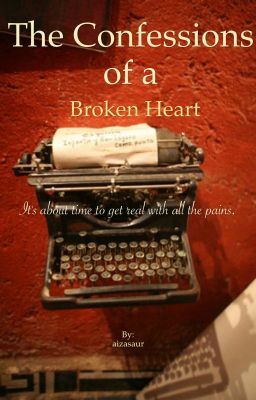 "These are my confessions- the Confessions of a Broken Heart. "